Looking for things to do at a graduation party? Celebrate your graduate in style with these fun graduation party games and things to do at a graduation party! 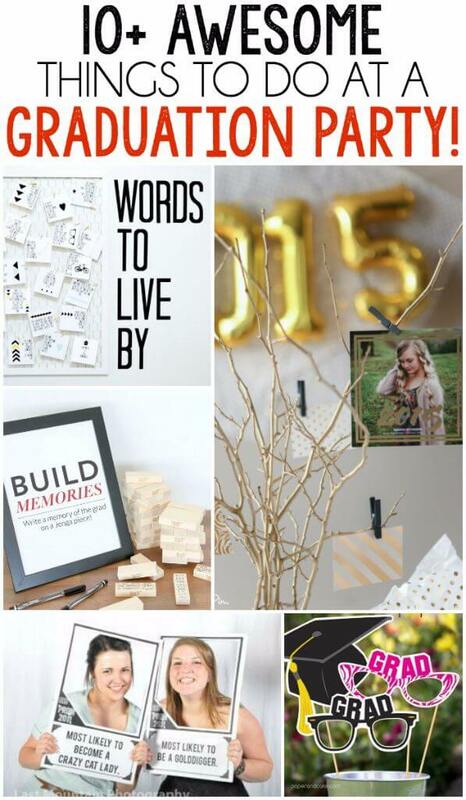 Everything from high school graduation games to ones that would work for a college graduation party! With graduation just around the corner, I can’t wait to try out plenty of these games for graduation party this year! Definitely some of the most fun grad party games and graduation party activities I’ve ever seen! If I’m being honest, I don’t remember a thing about my own high school graduation party and we didn’t have a college graduation party because we were getting ready to move across the country. And I was married, and it seemed a bit weird to be celebrating right after we just had a big wedding with three wedding receptions. I may not remember the one my parents planned, but I do remember my all-night graduation party that the high school put together. The high school rented out a local gym and turned it into a casino. That was one of the first times I realized that I have a bit of an addiction to games – doesn’t matter what kind of games they are. It’s the competitiveness in me. My friends wanted to dance and hang out with everyone, and I wanted to play games. We did both, and it was amazing. That was the last night I remember seeing a lot of the people I went to high school with. I graduated and went to college across the country and never looked back. And to this day, that was easily my most successful night ever in a casino. Things have only gone downhill since then so I’ve pretty much avoided them ever since, except for when play money or Swedish Fish are involved in the betting. Graduation parties don’t have to be boring. You can still celebrate the graduate while still having a good time with one of these fun activities. I’ve put together tons of great ideas and broken them into different categories to choose from depending on what type of things your graduate likes, how crazy you want to get, and more! These active graduation games are the ones that everyone will remember because they’re so fun! They’re also active and exciting and will get your guests up and interacting with each other, which is never a bad thing! 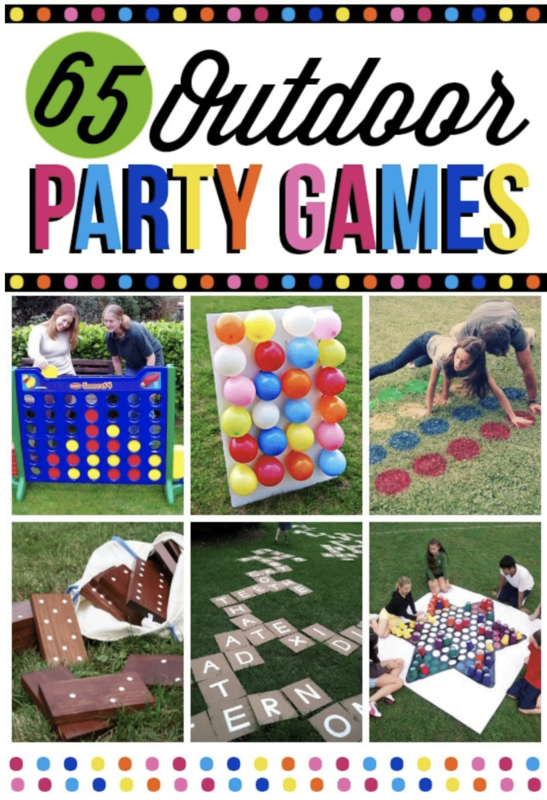 These are definitely some of my favorite graduation party games! Start it off by trying out any of these minute to win it style graduation party ideas – there are 17 total and they encompass everything from bouncing balls into buckets around the world to finding pieces of advice in balloons! We played these at my sister’s graduation last year and everyone loved them! With 17 different games already, you could just stop there but then you’d be missing out on some of these other awesome options! 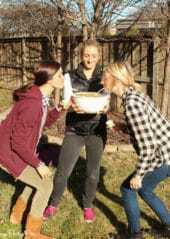 Since typically the weather is nice during graduation, why not try one of these fun games you can play outdoors? There are options for every age, which is great for a graduation party since so often there are families with kids celebrating too! These are definitely the easiest of the bunch! Simply print out the game, typically enough for each person playing, and play away! 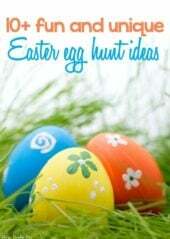 These are simple, fun, and great for anyone even if they’re not a huge games player! It’s a great way to incorporate graduation games without going overboard, unless you’re like me and overboard is your thing! These are the graduation games that are all about your graduate, their past, and the accomplishments they’ve achieved so far! These aren’t quite as crazy as some of the other games and give you a good chance to really celebrate and appreciate the guest of honor! Try something a little out of the box with this fun graduation game that also doubles as graduation decorations! The game is basically a variation of two truths and a tie but using memories of the graduate! Get full instructions here. Another fun game I’ve played before that everyone loved was matching photos to the year (or age of the graduate). Get instructions for this game and a number of other games here. 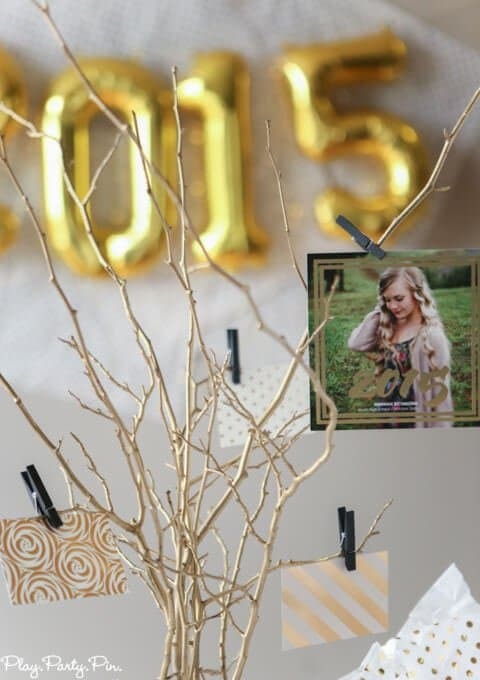 Forget the past, these graduation party games are all about looking toward the future! Giving the graduate advice, coming up with your favorite graduation quotes to share, and more! Tons of great ways to celebrate your graduate by helping them get ready for the bright future ahead! Start by creating your very own graduation advice tree that doubles as decoration and as a place for people to hang words of advice for the graduate. 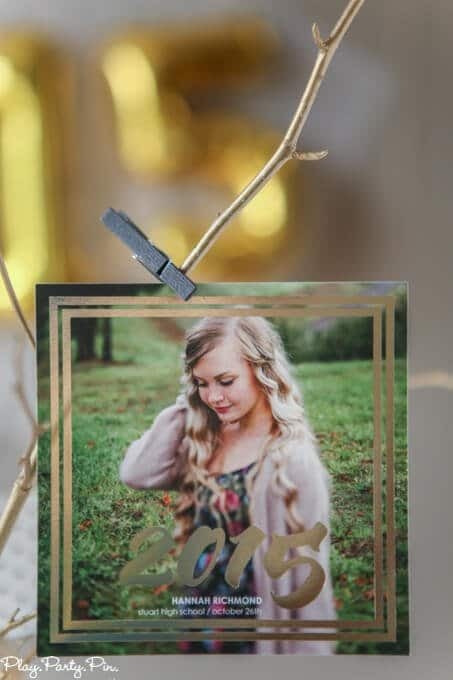 It’s also a great way to show off graduation announcements or even graduation invitations you sent out for the party! Don’t want to use a tree? How about creating a words to live by board where people can drop graduation advice and graduation quotes for the graduate to take home! I love this idea, especially if you’re looking for high school graduation party ideas because then the graduate can just take the board with them to college if they want! This fun idea even has printable graduation quotes cards you can use to get started! How about this fun twist on giving the graduate advice? Setup a photo booth and make people write their advice for the photos! 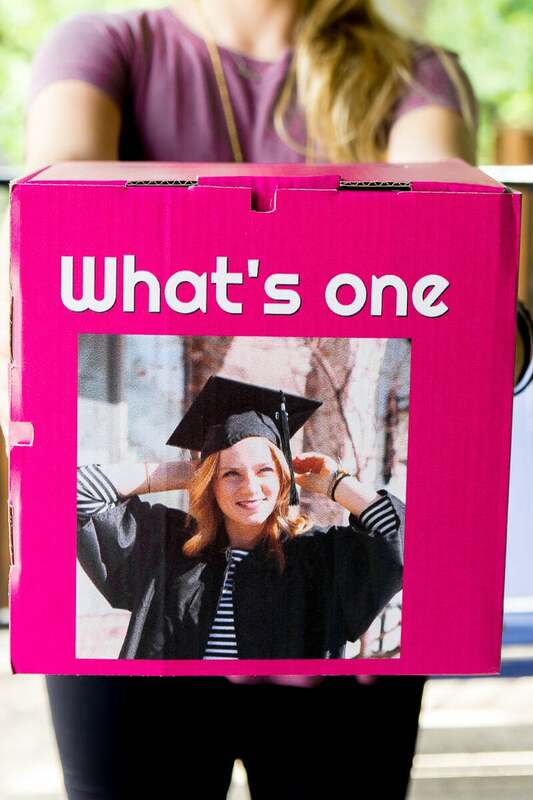 Get full instructions and details on this fun graduation photo booth here! This one isn’t so much of an advice giving graduation game but more of a fun way to do a guest book! Love the idea of creating a guest book puzzle that can be recreated when the graduate gets home (or everyone goes home and they put the puzzle together). 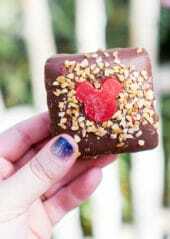 Get the idea here! You could also go untraditional and invite everyone to come in clothes they are okay getting wet in and play these fun water games instead! You can’t have a graduation party with just party games, these are some of the best graduation party supplies I’ve seen. Perfect for celebrating this year’s graduating class! 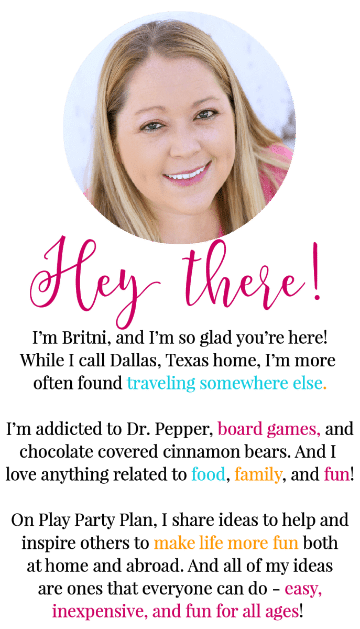 I’m especially partial to those graduation cake pops but mostly because I’m currently on day 2 of my Whole 30 meal plan and totally craving sugar!